This is an excerpt from an interview with Bono in Bono: In Conversation with Michka Assayas, and it's fantastic. It's hard to describe, so I'll leave it to you. 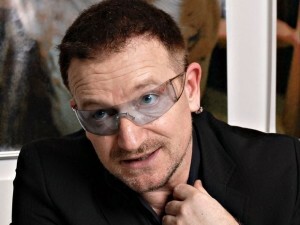 But Bono's been reading his C. S. Lewis. One more time: tanning is bad. I have featured articles on tanning beds on wardrobe numerous times over the years, and this is the crown jewel: the American Academy of Pediatrics is calling for laws to ban minors from tanning parlors. Amen to that. Check out the link. If you're interested in older posts on tanning, look here and here.